Building on best-selling texts over three decades, this thoroughly revised new edition is essential reading for both primary and secondary school teachers in training and in practice, supporting both initial school-based training and extended career-long professionalism. 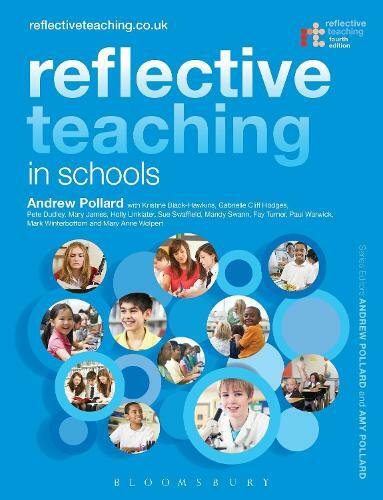 Considering a wide range of professionally relevant topics, Reflective Teaching in Schools presents key issues and research insights, suggests activities for classroom enquiry and offers guidance on key readings. Uniquely, two levels of support are offered: * practical, evidence-based guidance on key classroom issues - including relationships, behaviour, curriculum planning, teaching strategies and assessment processes; * routes to deeper forms of expertise, including evidence-informed `principles' and `concepts' to support in-depth understanding of teacher expertise. Andrew Pollard, former Director of the UK's Teaching and Learning Research Programme, led development of the book, with support from primary and secondary specialists from the University of Cambridge, UK. Reflective Teaching in Schools is part of a fully integrated set of resources for primary and secondary education. Readings for Reflective Teaching in Schools directly complements and extends the chapters in this book. Providing a compact and portable library, it is particularly helpful in school-based teacher education. The website, reflectiveteaching.co.uk, offers supplementary resources including reflective activities, research briefings, advice on further reading and additional chapters. It also features a glossary, links to useful websites, and a conceptual framework for deepening expertise. This book is one of the Reflective Teaching Series - inspiring education through innovation in early years, schools, further, higher and adult education.